There are good reasons to believe that there is no alternative to a new global order of governance that will eventually have to manage the transition to a zero growth economy. If that is to be done in an equitable way, then there is no alternative to socialism or communism. Since the late 1990s, the World Social Forum became the center for articulating the theme “another world is possible.” It must now take up the task of defining how another socialism or communism is possible and how the transition to these alternatives are to be accomplished. The current crisis offers a window of opportunity to reflect on what might be involved. (a) the successful assault upon organized labor and its political institutions while mobilizing global labor surpluses, instituting labor-saving technological changes and heightening competition. The result has been global wage repressions (a declining share of wages in total GDP almost everywhere) and the creation of an even vaster disposable labor reserve living under marginal conditions. (b) undermining previous structures of monopoly power and displacing the previous stage of (nation state) monopoly capitalism by opening up capitalism to far fiercer international competition. Intensifying global competition translated into lower non-financial corporate profits. Uneven geographical development and inter-territorial competition became key features in capitalist development, opening the way towards the beginnings of a hegemonic shift of power particularly but not exclusively towards East Asia. (c) utilizing and empowering the most fluid and highly mobile form of capital – money capital – to reallocate capital resources globally (eventually through electronic markets) thus sparking deindustrialization in traditional core regions and new forms of (ultra-oppressive) industrialization and natural resource and agricultural raw material extractions in emergent markets. The corollary was to enhance the profitability of financial corporations and to find new ways to globalize and supposedly absorb risks through the creation of fictitious capital markets. (d) At the other end of the social scale, this meant heightened reliance on “accumulation by dispossession” as a means to augment capitalist class power. The new rounds of primitive accumulation against indigenous and peasant populations were augmented by asset losses of the lower classes in the core economies (as witnessed by the sub-prime housing market in the US which foisted a huge asset loss particularly upon African American populations). (e) The augmentation of otherwise sagging effective demand by pushing the debt economy (governmental, corporate and household) to its limits (particularly in the USA and the UK but also in many other countries from Latvia to Dubai). (f) Compensating for anemic rates of return in production by the construction of whole series of asset market bubbles, all of which had a Ponzi character, culminating in the property bubble that burst in 2007-8. These asset bubbles drew upon finance capital and were facilitated by extensive financial innovations such as derivatives and collateralized debt obligations. The political forces that coalesced and mobilized behind these transitions had a distinctive class character and clothed themselves in the vestments of a distinctive ideology called neoliberal. The ideology rested upon the idea that free markets, free trade, personal initiative and entrepreneurialism were the best guarantors of individual liberty and freedom and that the “nanny state” should be dismantled for the benefit of all. But the practice entailed that the state must stand behind the integrity of financial institutions, thus introducing (beginning with the Mexican and developing countries debt crisis of 1982) “moral hazard” big time into the financial system. The state (local and national) also became increasingly committed to providing a “good business climate” to attract investments in a highly competitive environment. The interests of the people were secondary to the interests of capital and in the event of a conflict between them, the interests of the people had to be sacrificed (as became standard practice in IMF structural adjustments programs from the early 1980s onwards). The system that has been created amounts to a veritable form of communism for the capitalist class. These conditions varied considerably, of course, depending upon what part of the world one inhabited, the class relations prevailing there, the political and cultural traditions and how the balance of political-economic power was shifting. So how can the left negotiate the dynamics of this crisis? 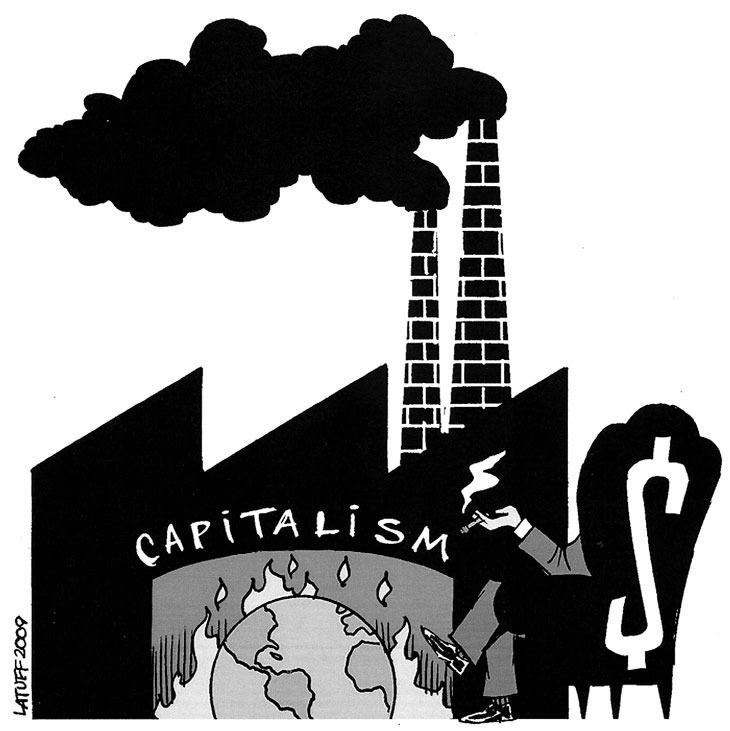 At times of crisis, the irrationality of capitalism becomes plain for all to see. Surplus capital and surplus labor exist side-by side with seemingly no way to put them back together in the midst of immense human suffering and unmet needs. In midsummer of 2009, one third of the capital equipment in the United States stood idle, while some 17 per cent of the workforce were either unemployed, enforced part-timers or “discouraged” workers. What could be more irrational than that! Can capitalism survive the present trauma? Yes. But at what cost? This question masks another. Can the capitalist class reproduce its power in the face of the raft of economic, social, political and geopolitical and environmental difficulties? Again, the answer is a resounding “yes.” But the mass of the people will have to surrender the fruits of their labor to those in power, to surrender many of their rights and their hard-won asset values (in everything from housing to pension rights), and to suffer environmental degradations galore to say nothing of serial reductions in their living standards which means starvation for many of those already struggling to survive at rock bottom. Class inequalities will increase (as we already see happening). All of that may require more than a little political repression, police violence and militarized state control to stifle unrest. Since much of this is unpredictable and since the spaces of the global economy are so variable, then uncertainties as to outcomes are heightened at times of crisis. All manner of localized possibilities arise for either nascent capitalists in some new space to seize opportunities to challenge older class and territorial hegemonies (as when Silicon Valley replaced Detroit from the mid-1970s onwards in the United States) or for radical movements to challenge the reproduction of an already destabilized class power. To say that the capitalist class and capitalism can survive is not to say that they are predestined to do so nor does it say that their future character is given. Crises are moments of paradox and possibilities. So what will happen this time around? If we are to get back to three percent growth, then this means finding new and profitable global investment opportunities for $1.6 trillion in 2010 rising to closer to $3 trillion by 2030. This contrasts with the $0.15 trillion new investment needed in 1950 and the $0.42 trillion needed in 1973 (the dollar figures are inflation adjusted). Real problems of finding adequate outlets for surplus capital began to emerge after 1980, even with the opening up of China and the collapse of the Soviet Bloc. The difficulties were in part resolved by creation of fictitious markets where speculation in asset values could take off unhindered. Where will all this investment go now? Leaving aside the undisputable constraints in the relation to nature (with global warming of paramount importance), the other potential barriers of effective demand in the market place, of technologies and of geographical/ geopolitical distributions are likely to be profound, even supposing, which is unlikely, that no serious active oppositions to continuous capital accumulation and further consolidation of class power materialize. What spaces are left in the global economy for new spatial fixes for capital surplus absorption? China and the ex-Soviet bloc have already been integrated. South and Southeast Asia is filling up fast. Africa is not yet fully integrated but there is nowhere else with the capacity to absorb all this surplus capital. What new lines of production can be opened up to absorb growth? There may be no effective long-run capitalist solutions (apart from reversion to fictitious capital manipulations) to this crisis of capitalism. At some point quantitative changes lead to qualitative shifts and we need to take seriously the idea that we may be at exactly such an inflexion point in the history of capitalism. Questioning the future of capitalism itself as an adequate social system ought, therefore, to be in the forefront of current debate. Yet there appears to be little appetite for such discussion, even among the left. Instead we continue to hear the usual conventional mantras regarding the perfectibility of humanity with the help of free markets and free trade, private property and personal responsibility, low taxes and minimalist state involvement in social provision, even though this all sounds increasingly hollow. A crisis of legitimacy looms. But legitimation crises typically unfold at a different pace and rhythm to that of stock markets. It took, for example, three or four years before the stock market crash of 1929 produced the massive social movements (both progressive and fascistic) after 1932 or so. The intensity of the current pursuit by political power of ways to exit the present crisis may have something to do with the political fear of looming illegitimacy. The last thirty years, however, has seen the emergence of systems of governance that seem immune to legitimacy problems and unconcerned even with the creation of consent. The mix of authoritarianism, monetary corruption of representative democracy, surveillance, policing and militarization (particularly through the war on terror), media control and spin suggests a world in which the control of discontent through disinformation, fragmentations of oppositions and the shaping of oppositional cultures through the promotion of NGOs tends to prevail with plenty of coercive force to back it up if necessary. The idea that the crisis had systemic origins is scarcely mooted in the mainstream media (even as a few mainstream economists like Stiglitz, Krugman and even Jeffrey Sachs attempt to steal some of the left’s historical thunder by confessing to an epiphany or two). Most of the governmental moves to contain the crisis in North America and Europe amount to the perpetuation of business as usual which translates into support for the capitalist class. The “moral hazard” that was the immediate trigger for the financial failures is being taken to new heights in the bank bail-outs. 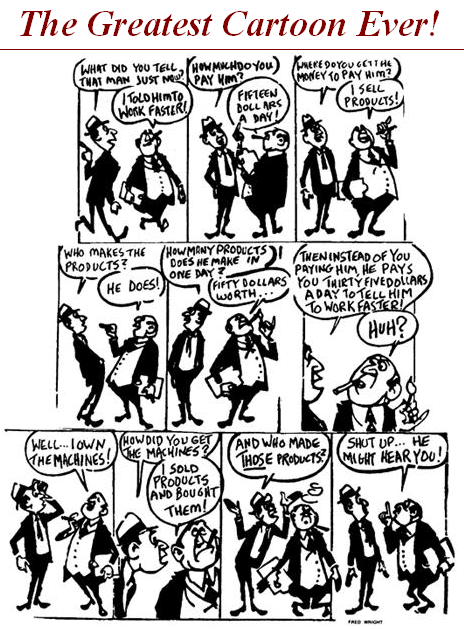 The actual practices of neoliberalism (as opposed to its utopian theory) always entailed blatant support for finance capital and capitalist elites (usually on the grounds that financial institutions must be protected at all costs and that it is the duty of state power to create a good business climate for solid profiteering). This has not fundamentally changed. Such practices are justified by appeal to the dubious proposition that a “rising tide” of capitalist endeavor will “lift all boats” or that the benefits of compound growth will magically “trickle down” (which it never does except in the form of a few crumbs from the rich folks’ table). So how will the capitalist class exit the current crisis and how swift will the exit be? The rebound in stock market values from Shanghai and Tokyo to Frankfurt, London and New York is a good sign we are told even as unemployment pretty much everywhere continues to rise. But notice the class bias in that measure. We are enjoined to rejoice in the rebound in stock values for the capitalists because it always precedes, it is said, a rebound in the “real economy” where jobs for the workers are created and incomes earned. The fact that the last stock rebound in the United States after 2002 turned out to be a “jobless recovery” appears to have been forgotten already. The Anglo-Saxon public in particular appears to be seriously afflicted with amnesia. It too easily forgets and forgives the transgressions of the capitalist class and the periodic disasters its actions precipitate. The capitalist media are happy to promote such amnesia. China and India are still growing, the former by leaps and bounds. But in China’s case, the cost is a huge expansion of bank lending on risky projects (the Chinese banks were not caught up in the global speculative frenzy but now are continuing it). The overaccumulation of productive capacity proceeds a-pace and long-term infrastructural investments whose productivity will not be known for several years, are booming (even in urban property markets). And China’s burgeoning demand is entraining those economies supplying raw materials, like Australia and Chile. The likelihood of a subsequent crash in China cannot be dismissed but it may take time to discern (a long-term version of Dubai). Meanwhile the global epicenter of capitalism accelerates its shift primarily towards East Asia. In the older financial centers, the young financial sharks have taken their bonuses of yesteryear, collectively started boutique financial institutions to circle Wall Street and the City of London to sift through the detritus of yesterdays financial giants to snaffle up the juicy bits and start all over again. The investment banks that remain in the US – Goldman Sachs and J.P.Morgan – though reincarnated as bank holding companies have gained exemption (thanks to the Federal Reserve) from regulatory requirements and are making huge profits (and setting aside moneys for huge bonuses to match) out of speculating dangerously using tax-payers money in unregulated and still booming derivative markets. The leveraging that got us into the crisis has resumed big time as if nothing has happened. Innovations in finance are on the march as new ways to package and sell fictitious capital debts are being pioneered and offered to institutions (such as pension funds) desperate to find new outlets for surplus capital. The fictions (as well as the bonuses) are back! Consortia are buying up foreclosed properties, either waiting for the market to turn before making a killing or banking high value land for a future moment of active redevelopment. The regular banks are stashing away cash, much of it garnered from the public coffers, also with an eye to resuming bonus payments consistent with a former lifestyle while a whole host of entrepreneurs hover in the wings waiting to seize this moment of creative destruction backed by a flood of public moneys. Meanwhile raw money power wielded by the few undermines all semblances of democratic governance. The pharmaceutical, health insurance and hospital lobbies, for example, spent more than $133 million in the first three months of 2009 to make sure they got their way on health care reform in the United States. Max Baucus, head of the key Senate finance committee that shaped the health care bill received $1.5 million for a bill that delivers a vast number of new clients to the insurance companies with few protections against ruthless exploitation and profiteering (Wall Street is delighted). Another electoral cycle, legally corrupted by immense money power, will soon be upon us. In the United States, the parties of “K Street” and of Wall Street will be duly re-elected as working Americans are exhorted to work their way out of the mess that the ruling class has created. We have been in such dire straits before, we are reminded, and each time working Americans have rolled up their sleeves, tightened their belts, and saved the system from some mysterious mechanics of auto-destruction for which the ruling class denies all responsibility. Personal responsibility is, after all, for the workers and not for the capitalists. If this is the outline of the exit strategy then almost certainly we will be in another mess within five years. The faster we come out of this crisis and the less excess capital is destroyed now, the less room there will be for the revival of long-term active growth. The loss of asset values at this conjuncture (mid 2009) is, we are told by the IMF, at least $55 trillion, which is equivalent to almost exactly one year’s global output of goods and services. Already we are back to the output levels of 1989. We may be looking at losses of $400 trillion or more before we are through. Indeed, in a recent startling calculation, it was suggested that the US state alone was on the hook to guarantee more than $200 trillion in asset values. The likelihood that all of those assets would go bad is very minimal, but the thought that many of them could is sobering in the extreme. Just to take a concrete example: Fannie Mae and Freddie Mac, now taken over by the US Government, own or guarantee more than $5 trillion in home loans many of which are in deep trouble (losses of more than $150 billion were recorded in 2008 alone). So what, then, are the alternatives? It has long been the dream of many in the world, that an alternative to capitalist (ir)rationality can be defined and rationally arrived at through the mobilization of human passions in the collective search for a better life for all. These alternatives – historically called socialism or communism – have, in various times and places been tried. In former times, such as the 1930s, the vision of one or other of them operated as a beacon of hope. But in recent times they have both lost their luster, been dismissed as wanting, not only because of the failure of historical experiments with communism to make good on their promises and the penchant for communist regimes to cover over their mistakes by repression, but also because of their supposedly flawed presuppositions concerning human nature and the potential perfectibility of the human personality and of human institutions. The difference between socialism and communism is worth noting. Socialism aims to democratically manage and regulate capitalism in ways that calm its excesses and redistribute its benefits for the common good. It is about spreading the wealth around through progressive taxation arrangements while basic needs – such as education, health care and even housing – are provided by the state out of reach of market forces. Many of the key achievements of redistributive socialism in the period after 1945, not only in Europe but beyond, have become so socially embedded as to be immune from neoliberal assault. Even in the United States, Social Security and Medicare are extremely popular programs that right wing forces find it almost impossible to dislodge. The Thatcherites in Britain could not touch national health care except at the margins. Social provision in Scandinavia and most of Western Europe seems to be an unshakable bed-rock of the social order. Communism, on the other hand, seeks to displace capitalism by creating an entirely different mode of both production and distribution of goods and services. In the history of actually existing communism, social control over production, exchange and distribution meant state control and systematic state planning. In the long-run this proved to be unsuccessful though, interestingly, its conversion in China (and its earlier adoption in places like Singapore) has proven far more successful than the pure neoliberal model in generating capitalist growth for reasons that cannot be elaborated upon here. Contemporary attempts to revive the communist hypothesis typically abjure state control and look to other forms of collective social organization to displace market forces and capital accumulation as the basis for organizing production and distribution. Horizontally networked as opposed to hierarchically commanded systems of coordination between autonomously organized and self-governing collectives of producers and consumers are envisaged as lying at the core of a new form of communism. Contemporary technologies of communication make such a system seem feasible. All manner of small-scale experiments around the world can be found in which such economic and political forms are being constructed. In this there is a convergence of some sort between the Marxist and anarchist traditions that harks back to the broadly collaborative situation between them in the 1860s in Europe. While nothing is certain, it could be that 2009 marks the beginning of a prolonged shake out in which the question of grand and far-reaching alternatives to capitalism will step-by-step bubble up to the surface in one part of the world or another. The longer the uncertainty and the misery is prolonged, the more the legitimacy of the existing way of doing business will be questioned and the more the demand to build something different will escalate. Radical as opposed to band-aid reforms to patch up the financial system may seem more necessary. The uneven development of capitalist practices throughout the world has produced, moreover, anti-capitalist movements all over the place. 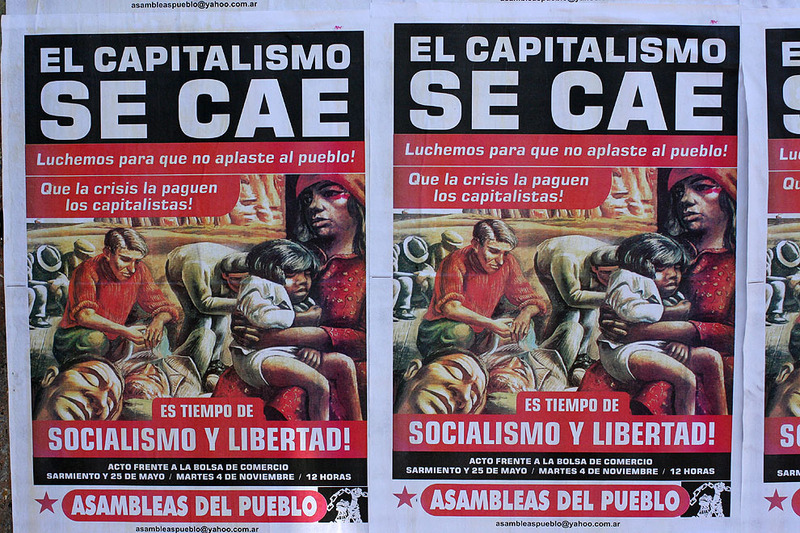 The state-centric economies of much of East Asia generate different discontents (as in Japan and China) compared to the churning anti-neoliberal struggles occurring throughout much of Latin America where the Bolivarian revolutionary movement of popular power exists in a peculiar relationship to capitalist class interests that have yet to be truly confronted. Differences over tactics and policies in response to the crisis among the states that make up the European Union are increasing even as a second attempt to come up with a unified EU constitution is under way. Revolutionary and resolutely anti-capitalist movements are also to be found, though not all of them are of a progressive sort, in many of the marginal zones of capitalism. Spaces have been opened up within which something radically different in terms of dominant social relations, ways of life, productive capacities and mental conceptions of the world can flourish. This applies as much to the Taliban and to communist rule in Nepal as to the Zapatistas in Chiapas and indigenous movements in Bolivia, the Maoist movements in rural India, even as they are world’s apart in objectives, strategies and tactics. The central problem is that in aggregate there is no resolute and sufficiently unified anti-capitalist movement that can adequately challenge the reproduction of the capitalist class and the perpetuation of its power on the world stage. Neither is there any obvious way to attack the bastions of privilege for capitalist elites or to curb their inordinate money power and military might. While openings exist towards some alternative social order, no one really knows where or what it is. But just because there is no political force capable of articulating let alone mounting such a program, this is no reason to hold back on outlining alternatives. Lenin’s famous question “what is to be done?” cannot be answered, to be sure, without some sense of who it is might do it where. But a global anti-capitalist movement is unlikely to emerge without some animating vision of what is to be done and why. A double blockage exists: the lack of an alternative vision prevents the formation of an oppositional movement, while the absence of such a movement precludes the articulation of an alternative. How, then, can this blockage be transcended? The relation between the vision of what is to be done and why, and the formation of a political movement across particular places to do it has to be turned into a spiral. Each has to reinforce the other if anything is actually to get done. Otherwise potential opposition will be forever locked down into a closed circle that frustrates all prospects for constructive change, leaving us vulnerable to perpetual future crises of capitalism with increasingly deadly results. Lenin’s question demands an answer. The central problem to be addressed is clear enough. Compound growth for ever is not possible and the troubles that have beset the world these last thirty years signal that a limit is looming to continuous capital accumulation that cannot be transcended except by creating fictions that cannot last. Add to this the facts that so many people in the world live in conditions of abject poverty, that environmental degradations are spiraling out of control, that human dignities are everywhere being offended even as the rich are piling up more and more wealth (the number of billionaires in India doubled last year from 27 to 52) under their command and that the levers of political, institutional, judicial, military and media power are under such tight but dogmatic political control as to be incapable of doing much more than perpetuating the status quo and frustrating discontent. A revolutionary politics that can grasp the nettle of endless compound capital accumulation and eventually shut it down as the prime motor of human history, requires a sophisticated understanding of how social change occurs. The failings of past endeavors to build a lasting socialism and communism have to be avoided and lessons from that immensely complicated history must be learned. Yet the absolute necessity for a coherent anti-capitalist revolutionary movement must also be recognized. The fundamental aim of that movement is to assume social command over both the production and distribution of surpluses. g) the conduct of daily life that underpins social reproduction. Each one of these moments is internally dynamic and internally marked by tensions and contradictions (just think of mental conceptions of the world) but all of them are co-dependent and co-evolve in relation to each other. The transition to capitalism entailed a mutually supporting movement across all seven moments. New technologies could not be identified and practiced without new mental conceptions of the world (including that of the relation to nature and social relations). Social theorists have the habit of taking just one of the these moments and viewing it as the “silver bullet” that causes all change. We have technological determinists (Tom Friedman), environmental determinists (Jared Diamond), daily life determinists (Paul Hawkin), labor process determinists (the autonomistas), institutionalists, and so on and so forth. They are all wrong. It is the dialectical motion across all of these moments that really counts even as there is uneven development in that motion. When capitalism itself undergoes one of its phases of renewal, it does so precisely by co-evolving all moments, obviously not without tensions, struggles, fights and contradictions. But consider how these seven moments were configured around 1970 before the neoliberal surge and consider how they look now and you will see they have all changed in ways that re-define the operative characteristics of capitalism viewed as a non-Hegelian totality. 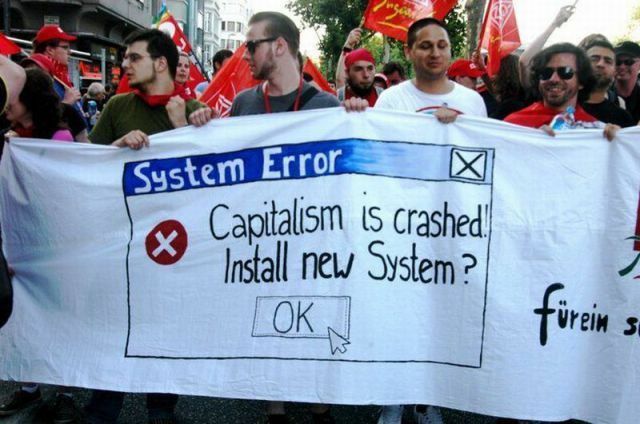 An anti-capitalist political movement can start anywhere (in labor processes, around mental conceptions, in the relation to nature, in social relations, in the design of revolutionary technologies and organizational forms, out of daily life or through attempts to reform institutional and administrative structures including the reconfiguration of state powers). The trick is to keep the political movement moving from one moment to another in mutually reinforcing ways. This was how capitalism arose out of feudalism and this is how something radically different called communism, socialism or whatever must arise out of capitalism. Previous attempts to create a communist or socialist alternative fatally failed to keep the dialectic between the different moments in motion and failed to embrace the unpredictabilities and uncertainties in the dialectical movement between them. Capitalism has survived precisely by keeping the dialectical movement between the moments going and constructively embracing the inevitable tensions, including crises, that result. Change arises, of course, out of an existing state of affairs and it has to harness the possibilities immanent within an existing situation. Since the existing situation varies enormously from Nepal, to the Pacific regions of Bolivia, to the deindustrializing cities of Michigan and the still booming cities of Mumbai and Shanghai and the shaken but by no means destroyed financial centers of New York and London, so all manner of experiments in social change in different places and at different geographical scales are both likely and potentially illuminating as ways to make (or not make) another world possible. And in each instance it may seem as if one or other aspect of the existing situation holds the key to a different political future. But the first rule for a global anti-capitalist movement must be: never rely on the unfolding dynamics of one moment without carefully calibrating how relations with all the others are adapting and reverberating. Feasible future possibilities arise out of the existing state of relations between the different moments. Strategic political interventions within and across the spheres can gradually move the social order onto a different developmental path. This is what wise leaders and forward looking institutions do all the time in local situations, so there is no reason to think there is anything particularly fantastic or utopian about acting in this way. The left has to look to build alliances between and across those working in the distinctive spheres. An anti-capitalist movement has to be far broader than groups mobilizing around social relations or over questions of daily life in themselves. Traditional hostilities between, for example, those with technical, scientific and administrative expertise and those animating social movements on the ground have to be addressed and overcome. We now have to hand, in the example of the climate change movement, a significant example of how such alliances can begin to work. In this instance the relation to nature is the beginning point, but everyone realizes that something has to give on all the other moments and while there is a wishful politics that wants to see the solution as purely technological, it becomes clearer by the day that daily life, mental conceptions, institutional arrangements, production processes and social relations have to be involved. And all of that means a movement to restructure capitalist society as a whole and to confront the growth logic that underlies the problem in the first place. There have, however, to be, some loosely agreed upon common objectives in any transitional movement. Some general guiding norms can be set down. These might include (and I just float these norms here for discussion) respect for nature, radical egalitarianism in social relations, institutional arrangements based in some sense of common interests and common property, democratic administrative procedures (as opposed to the monetized shams that now exist), labor processes organized by the direct producers, daily life as the free exploration of new kinds of social relations and living arrangements, mental conceptions that focus on self-realization in service to others and technological and organizational innovations oriented to the pursuit of the common good rather than to supporting militarized power, surveillance and corporate greed. These could be the co-revolutionary points around which social action could converge and rotate. Of course this is utopian! But so what! We cannot afford not to be. Let me detail one particular aspect of the problem which arise in the place where I work. Ideas have consequences and false ideas can have devastating consequences. Policy failures based on erroneous economic thinking played a crucial role in both the run-up to the debacle of the 1930s and in the seeming inability to find an adequate way out. Though there is no agreement among historians and economists as to exactly what policies failed, it is agreed that the knowledge structure through which the crisis was understood needed to be revolutionized. Keynes and his colleagues accomplished that task. But by the mid-1970s, it became clear that the Keynesian policy tools were no longer working at least in the way they were being applied and it was in this context that monetarism, supply-side theory and the (beautiful) mathematical modelling of micro-economic market behaviors supplanted broad-brush macro-economic Keynesian thinking. The monetarist and narrower neoliberal theoretical frame that dominated after 1980 is now in question. In fact it has disastrously failed. We need new mental conceptions to understand the world. What might these be and who will produce them, given both the sociological and intellectual malaise that hangs over knowledge production and (equally important) dissemination more generally? The deeply entrenched mental conceptions associated with neoliberal theories and the neoliberalization and corporatization of the universities and the media has played more than a trivial role in the production of the present crisis. For example, the whole question of what to do about the financial system, the banking sector, the state-finance nexus and the power of private property rights, cannot be broached without going outside of the box of conventional thinking. For this to happen will require a revolution in thinking, in places as diverse as the universities, the media and government as well as within the financial institutions themselves. Karl Marx, while not in any way inclined to embrace philosophical idealism, held that ideas are a material force in history. Mental conceptions constitute, after all, one of the seven moments in his general theory of co-revolutionary change. Autonomous developments and inner conflicts over what mental conceptions shall become hegemonic therefore have an important historical role to play. It was for this reason that Marx (along with Engels) wrote The Communist Manifesto, Capital and innumerable other works. These works provide a systematic critique, albeit incomplete, of capitalism and its crisis tendencies. But as Marx also insisted, it was only when these critical ideas carried over into the fields of institutional arrangements, organizational forms, production systems, daily life, social relations, technologies and relations to nature that the world would truly change. Since Marx’s goal was to change the world and not merely to understand it, ideas had to be formulated with a certain revolutionary intent. This inevitably meant a conflict with modes of thought more convivial to and useful for the ruling class. The fact that Marx’s oppositional ideas, particularly in recent years, have been the target of repeated repressions and exclusions (to say nothing of bowdlerizations and misrepresentations galore) suggests that his ideas may be too dangerous for the ruling classes to tolerate. While Keynes repeatedly avowed that he had never read Marx, he was surrounded and influenced in the 1930s by many people (like his economist colleague Joan Robinson) who had. While many of them objected vociferously to Marx’s foundational concepts and his dialectical mode of reasoning, they were acutely aware of and deeply affected by some of his more prescient conclusions. It is fair to say, I think, that the Keynesian theory revolution could not have been accomplished without the subversive presence of Marx lurking in the wings. The trouble in these times is that most people have no idea who Keynes was and what he really stood for while the knowledge of Marx is negligible. The repression of critical and radical currents of thought, or to be more exact the corralling of radicalism within the bounds of multiculturalism, identity politics and cultural choice, creates a lamentable situation within the academy and beyond, no different in principle to having to ask the bankers who made the mess to clean it up with exactly the same tools as they used to get into it. Broad adhesion to post-modern and post-structuralist ideas which celebrate the particular at the expense of big-picture thinking does not help. To be sure, the local and the particular are vitally important and theories that cannot embrace, for example, geographical difference, are worse than useless. But when that fact is used to exclude anything larger than parish politics then the betrayal of the intellectuals and abrogation of their traditional role become complete. The current populations of academicians, intellectuals and experts in the social sciences and humanities are by and large ill-equipped to undertake the collective task of revolutionizing our knowledge structures. They have, in fact, been deeply implicated in the construction of the new systems of neoliberal governmentality that evade questions of legitimacy and democracy and foster a technocratic authoritarian politics. Few seem predisposed to engage in self-critical reflection. Universities continue to promote the same useless courses on neo classical economic or rational choice political theory as if nothing has happened and the vaunted business schools simply add a course or two on business ethics or how to make money out of other people’s bankruptcies. After all, the crisis arose out of human greed and there is nothing that can be done about that! The current knowledge structure is clearly dysfunctional and equally clearly illegitimate. The only hope is that a new generation of perceptive students (in the broad sense of all those who seek to know the world) will clearly see it so and insist upon changing it. This happened in the 1960s. At various other critical points in history student inspired movements, recognizing the disjunction between what is happening in the world and what they are being taught and fed by the media, were prepared to do something about it. There are signs, from Tehran to Athens and onto many European university campuses of such a movement. How the new generation of students in China will act must surely be of deep concern in the corridors of political power in Beijing. A student-led and youthful revolutionary movement, with all of its evident uncertainties and problems, is a necessary but not sufficient condition to produce that revolution in mental conceptions that can lead us to a more rational solution to the current problems of endless growth. What, more broadly, would happen if an anti-capitalist movement were constituted out of a broad alliance of the alienated, the discontented, the deprived and the dispossessed? The image of all such people everywhere rising up and demanding and achieving their proper place in economic, social and political life, is stirring indeed. It also helps focus on the question of what it is they might demand and what it is that needs to be done. Revolutionary transformations cannot be accomplished without at the very minimum changing our ideas, abandoning cherished beliefs and prejudices, giving up various daily comforts and rights, submitting to some new daily life regimen, changing our social and political roles, reassigning our rights, duties and responsibilities and altering our behaviors to better conform to collective needs and a common will. The world around us – our geographies – must be radically re-shaped as must our social relations, the relation to nature and all of the other moments in the co-revolutionary process. It is understandable, to some degree, that many prefer a politics of denial to a politics of active confrontation with all of this. It would also be comforting to think that all of this could be accomplished pacifically and voluntarily, that we would dispossess ourselves, strip ourselves bare, as it were, of all that we now possess that stands in the way of the creation of a more socially just, steady-state social order. But it would be disingenuous to imagine that this could be so, that no active struggle will be involved, including some degree of violence. Capitalism came into the world, as Marx once put it, bathed in blood and fire. Although it might be possible to do a better job of getting out from under it than getting into it, the odds are heavily against any purely pacific passage to the promised land. There are various broad fractious currents of thought on the left as to how to address the problems that now confront us. There is, first of all, the usual sectarianism stemming from the history of radical action and the articulations of left political theory. Curiously, the one place where amnesia is not so prevalent is within the left (the splits between anarchists and Marxists that occurred back in the 1870s, between Trotskyists, Maoists and orthodox Communists, between the centralizers who want to command the state and the anti-statist autonomists and anarchists). The arguments are so bitter and so fractious, as to sometimes make one think that more amnesia might be a good thing. But beyond these traditional revolutionary sects and political factions, the whole field of political action has undergone a radical transformation since the mid-1970s. The terrain of political struggle and of political possibilities has shifted, both geographically and organizationally. There are now vast numbers of non-governmental organizations (NGO’s) that play a political role that was scarcely visible before the mid-1970s. Funded by both state and private interests, populated often by idealist thinkers and organizers (they constitute a vast employment program), and for the most part dedicated to single-issue questions (environment, poverty, women’s rights, anti-slavery and trafficking work, etc) they refrain from straight anti-capitalist politics even as they espouse progressive ideas and causes. In some instances, however, they are actively neoliberal, engaging in privatization of state welfare functions or fostering institutional reforms to facilitate market integration of marginalized populations (microcredit and microfinance schemes for low income populations are a classic example of this). While there are many radical and dedicated practitioners in this NGO world, their work is at best ameliorative. Collectively, they have a spotty record of progressive achievements, although in certain arenas, such as women’s rights, health care and environmental preservation, they can reasonably claim to have made major contributions to human betterment. But revolutionary change by NGO is impossible. They are too constrained by the political and policy stances of their donors. So even though, in supporting local empowerment, they help open up spaces where anti-capitalist alternatives become possible and even support experimentation with such alternatives, they do nothing to prevent the re-absorption of these alternatives into the dominant capitalist practice: they even encourage it. The collective power of NGOs in these times is reflected in the dominant role they play in the World Social Forum, where attempts to forge a global justice movement, a global alternative to neoliberalism, have been concentrated over the last ten years. The second broad wing of opposition arises out of anarchist, autonomist and grass roots organizations (GROs) which refuse outside funding even as some of them do rely upon some alternative institutional base (such as the Catholic Church with its “base community” initiatives in Latin America or broader church sponsorship of political mobilization in the inner cities of the United States). This group is far from homogeneous (indeed there are bitter disputes among them pitting, for example, social anarchists against those they scathingly refer to as mere “lifestyle” anarchists). There is, however, a common antipathy to negotiation with state power and an emphasis upon civil society as the sphere where change can be accomplished. The self-organizing powers of people in the daily situations in which they live has to be the basis for any anti-capitalist alternative. Horizontal networking is their preferred organizing model. So-called “solidarity economies” based on bartering, collectives and local production systems is their preferred political economic form. They typically oppose the idea that any central direction might be necessary and reject hierarchical social relations or hierarchical political power structures along with conventional political parties. Organizations of this sort can be found everywhere and in some places have achieved a high degree of political prominence. Some of them are radically anti-capitalist in their stance and espouse revolutionary objectives and in some instances are prepared to advocate sabotage and other forms of disruption (shades of the Red Brigades in Italy, the Baader Meinhoff in Germany and the Weather Underground in the United States in the 1970s). But the effectiveness of all these movements (leaving aside their more violent fringes) is limited by their reluctance and inability to scale up their activism into large-scale organizational forms capable of confronting global problems. The presumption that local action is the only meaningful level of change and that anything that smacks of hierarchy is anti-revolutionary is self-defeating when it comes to larger questions. Yet these movements are unquestionably providing a widespread base for experimentation with anti-capitalist politics. The third broad trend is given by the transformation that has been occurring in traditional labor organizing and left political parties, varying from social democratic traditions to more radical Trotskyist and Communist forms of political party organization. This trend is not hostile to the conquest of state power or hierarchical forms of organization. Indeed, it regards the latter as necessary to the integration of political organization across a variety of political scales. In the years when social democracy was hegemonic in Europe and even influential in the United States, state control over the distribution of the surplus became a crucial tool to diminish inequalities. The failure to take social control over the production of surpluses and thereby really challenge the power of the capitalist class was the Achilles heel of this political system, but we should not forget the advances that it made even if it is now clearly insufficient to go back to such a political model with its social welfarism and Keynesian economics. The Bolivarian movement in Latin America and the ascent to state power of progressive social democratic governments is one of the most hopeful signs of a resuscitation of a new form of left statism. Both organized labor and left political parties have taken some hard hits in the advanced capitalist world over the last thirty years. Both have either been convinced or coerced into broad support for neoliberalization, albeit with a somewhat more human face. One way to look upon neoliberalism, as was earlier noted, is as a grand and quite revolutionary movement (led by that self-proclaimed revolutionary figure, Margaret Thatcher) to privatize the surpluses or at least prevent their further socialization. While there are some signs of recovery of both labor organizing and left politics (as opposed to the “third way” celebrated by New Labor in Britain under Tony Blair and disastrously copied by many social democratic parties in Europe) along with signs of the emergence of more radical political parties in different parts of the world, the exclusive reliance upon a vanguard of workers is now in question as is the ability of those leftist parties that gain some access to political power to have a substantive impact upon the development of capitalism and to cope with the troubled dynamics of crisis-prone accumulation. The performance of the German Green Party in power has hardly been stellar relative to their political stance out of power and social democratic parties have lost their way entirely as a true political force. But left political parties and labor unions are significant still and their takeover of aspects of state power, as with the workers party in Brazil or the Bolivarian movement in Venezuela has had a clear impact on left thinking, not only in Latin America. The complicated problem of how to interpret the role of the Communist Party in China, with its exclusive control over political power, and what its future policies might be about is not easily resolved either. The co-revolutionary theory earlier laid out would suggest that there is no way that an anti-capitalist social order can be constructed without seizing state power, radically transforming it and re-working the constitutional and institutional framework that currently supports private property, the market system and endless capital accumulation. Inter-state competition and geoconomic and geopolitical struggles over everything from trade and money to questions of hegemony are also far too significant to be left to local social movements or cast aside as too big to contemplate. How the architecture of the state-finance nexus is to be re-worked along with the pressing question of the common measure of value given by money cannot be ignored in the quest to construct alternatives to capitalist political economy. To ignore the state and the dynamics of the inter-state system is therefore a ridiculous idea for any anti-capitalist revolutionary movement to accept. The fourth broad trend is constituted by all the social movements that are not so much guided by any particular political philosophy or leanings but by the pragmatic need to resist displacement and dispossession (through gentrification, industrial development, dam construction, water privatization, the dismantling of social services and public educational opportunities, or whatever). In this instance the focus on daily life in the city, town, village or wherever provides a material base for political organizing against the threats that state policies and capitalist interests invariably pose to vulnerable populations. These forms of protest politics are massive. Again, there is a vast array of social movements of this sort, some of which can become radicalized over time as they more and more realize that the problems are systemic rather than particular and local. The bringing together of such social movements into alliances on the land (like the Via Campesina, the landless peasant movement in Brazil or peasants mobilizing against land and resource grabs by capitalist corporations in India) or in urban contexts (the right to the city and take back the land movements in Brazil and now the United States) suggest the way may be open to create broader alliances to discuss and confront the systemic forces that underpin the particularities of gentrification, dam construction, privatization or whatever. More pragmatic rather than driven by ideological preconceptions, these movements nevertheless can arrive at systemic understandings out of their own experience. To the degree that many of them exist in the same space, such as within the metropolis, they can (as supposedly happened with the factory workers in the early stages of the industrial revolution) make common cause and begin to forge, on the basis of their own experience, a consciousness of how capitalism works and what it is that might collectively be done. This is the terrain where the figure of the “organic intellectual” leader, made so much of in Antonio Gramsci’s work, the autodidact who comes to understand the world first hand through bitter experiences, but shapes his or her understanding of capitalism more generally, has a great deal to say. To listen to peasant leaders of the MST in Brazil or the leaders of the anti-corporate land grab movement in India is a privileged education. In this instance the task of the educated alienated and discontented is to magnify the subaltern voice so that attention can be paid to the circumstances of exploitation and repression and the answers that can be shaped into an anti-capitalist program. The fifth epicenter for social change lies with the emancipatory movements around questions of identity – women, children, gays, racial, ethnic and religious minorities all demand an equal place in the sun – along with the vast array of environmental movements that are not explicitly anti-capitalist. 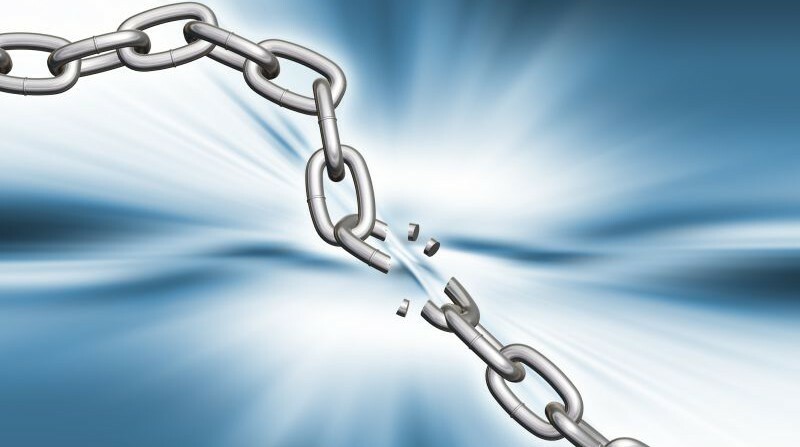 The movements claiming emancipation on each of these issues are geographically uneven and often geographically divided in terms of needs and aspirations. But global conferences on women’s rights (Nairobi in 1985 that led to the Beijing declaration of 1995) and anti-racism (the far more contentious conference in Durban in 2009) are attempting to find common ground, as is true also of the environmental conferences, and there is no question that social relations are changing along all of these dimensions at least in some parts of the world. When cast in narrow essentialist terms, these movements can appear to be antagonistic to class struggle. Certainly within much of the academy they have taken priority of place at the expense of class analysis and political economy. But the feminization of the global labor force, the feminization of poverty almost everywhere and the use of gender disparities as a means of labor control make the emancipation and eventual liberation of women from their repressions a necessary condition for class struggle to sharpen its focus. The same observation applies to all the other identity forms where discrimination or outright repression can be found. Racism and the oppression of women and children were foundational in the rise of capitalism. But capitalism as currently constituted can in principle survive without these forms of discrimination and oppression, though its political ability to do so will be severely curtailed if not mortally wounded in the face of a more unified class force. The modest embrace of multiculturalism and women’s rights within the corporate world, particularly in the United States, provides some evidence of capitalism’s accommodation to these dimensions of social change (including the environment), even as it re-emphasizes the salience of class divisions as the principle dimension for political action. These five broad tendencies are not mutually exclusive or exhaustive of organizational templates for political action. Some organizations neatly combine aspects of all five tendencies. But there is a lot of work to be done to coalesce these various tendencies around the underlying question: can the world change materially, socially, mentally and politically in such a way as to confront not only the dire state of social and natural relations in so many parts of the world, but also the perpetuation of endless compound growth? This is the question that the alienated and discontented must insist upon asking, again and again, even as they learn from those who experience the pain directly and who are so adept at organizing resistances to the dire consequences of compound growth on the ground. Communists, Marx and Engels averred in their original conception laid out in The Communist Manifesto, have no political party. They simply constitute themselves at all times and in all places as those who understand the limits, failings and destructive tendencies of the capitalist order as well as the innumerable ideological masks and false legitimations that capitalists and their apologists (particularly in the media) produce in order to perpetuate their singular class power. Communists are all those who work incessantly to produce a different future to that which capitalism portends. This is an interesting definition. While traditional institutionalized communism is as good as dead and buried, there are by this definition millions of de facto communists active among us, willing to act upon their understandings, ready to creatively pursue anti-capitalist imperatives. If, as the alternative globalization movement of the late 1990s declared, ‘another world is possible’ then why not also say ‘another communism is possible’? The current circumstances of capitalist development demand something of this sort, if fundamental change is to be achieved.